After launching its 4G LTE services in India, Vodafone is now all set to launch its services in Mumbai and has started getting its customers ready to experience the new services. Vodafone India has announced that it is all set to roll out its 4G LTE services in Kolkata. 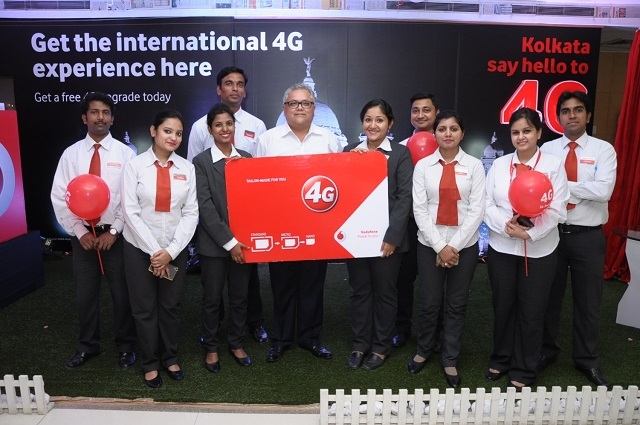 As such the operator is offering 4G SIM cards to all its existing subscribers at its 28 exclusive stores located at prominent locations in and around Kolkata. Once the 4G services are rolled out, customers can experience the services on their 4G handset using the new 4G SIM cards.